Features > New on DVD – Black Panther, The Forgiven and more! 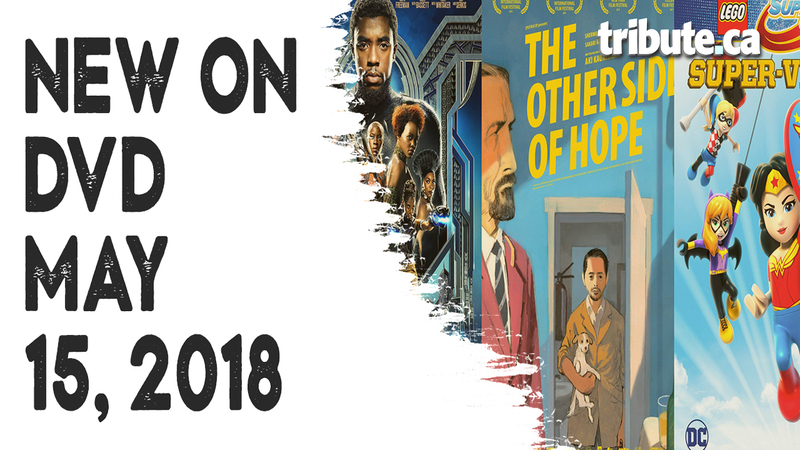 New on DVD – Black Panther, The Forgiven and more! Black Panther – With his father having died in Captain America: Civil War, T’Challa (Chadwick Boseman) is the new ruler of the advanced kingdom of Wakanda. As the king, whenever a challenger for the crown announces his intentions, he must give up his Black Panther powers and take them on in a physical challenge. Meanwhile, along with his technologically savvy younger sister Shuri (Letitia Wright) and his guard Okoye (Danai Gurira), T’Challa must stop the evil Ulysses Klaue (Andy Serkis) from using vibranium to take over the world. He gets help from American agent Everett K. Ross (Martin Freeman), but when a new challenger, Erik Killmonger (Michael B. Jordan), presents himself and proves he’s of Wakandan background and royal blood, T’Challa must take him seriously. The Other Side of Hope – At the age of 50, sales rep Wikhström feels he’s due for a change. He leaves his alcoholic wife and realizes his dream of opening a restaurant in Helsinki. Meanwhile, Syrian refugee Khaled arrives in Finland by accident. A trained mechanic, he goes through the process of being able to stay in Helsinki but when his asylum application is rejected, Khaled balks at being sent back to his country, which is still at war. Despite the racist repression he experiences, Khaled finds refuge in the courtyard of Wikhström’s restaurant. The Forgiven – This thriller centers on Desmond Tutu’s (Forest Whitaker) work as president of the Truth and Reconciliation Commission in post-apartheid South Africa, and his struggle with brutal murderer Piet Blomfeld (Eric Bana) over concession and redemption. LEGO DC Super Hero Girls: Super Villain High – When a mysterious high school opens, the LEGO DC Super Hero Girls — Wonder Woman, Supergirl, Batgirl and Poison Ivy — find out the new school is not set up to train superheroes, but supervillains. They decide to unite with their rivals to fight evil together. The Monkey King 3 – While continuing their epic journey to the West, the Monkey King and his companions are taken captive by the Queen of an all-female land, who believes them to be part of an ancient prophecy heralding the fall of her kingdom. With a lot of sorcery and a little bit of charm, the travelers devise a plan to escape. But when their trickery angers the mighty River God, they realize they might just bring about the foretold destruction — unless they can find a way to quell her wrath. Samson – A Hebrew with an unusual gift of strength must respond properly to the call of God on his life in order to lead his people out of enslavement. After his youthful ambition leads to a tragic marriage, his acts of revenge thrust him into direct conflict with the Philistine army. As his brother mounts a tribal rebellion, only Samson’s relationship with a Philistine temptress, and his final surrender both to the Philistines and to God, turns imprisonment and blindness into final victory.